After a successful month in its Cannes and Monaco Yacht shows, Emirates based Gulf Craft is set to exhibit at the first ever Abu Dhabi International Boat Show 2018 with an impressive line-up of superyachts, yachts and boats. The award-winning Majesty 135 and Majesty 100 superyachts along with Nomad 55, Silvercraft 36 CC, Slivercraft 36 HT and the Silvercraft 31 leisure boats are all part of the exciting line up. 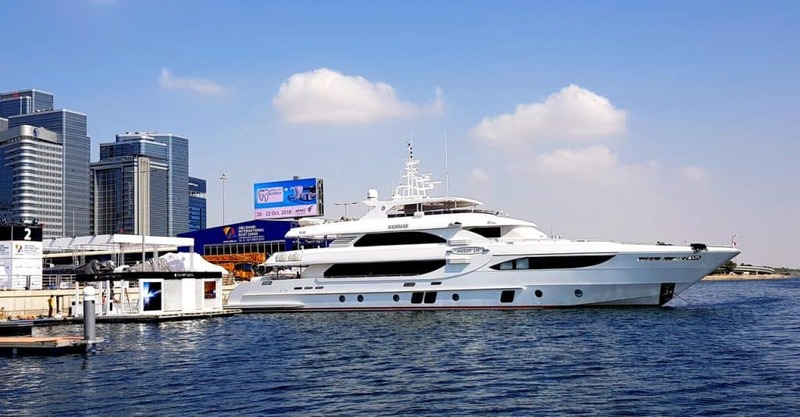 The inaugural edition of the Abu Dhabi International Boat Show will be held from 17th to 20th October, at Abu Dhabi National Exhibition Centre’s marina. The show will create an environment which uniquely blends luxury yachts and leisure marine products alongside the rich maritime legacy of the Emirates. Abu Dhabi offers great opportunities for Gulf Craft with its culture for boating and diverse yachting lifestyles. With growing interest for its models, Gulf Craft’s fleet of 8 yachts and boats have been selected specifically to showcase the company’s wide range at the new Abu Dhabi show. The total value of the company’s yachts and boats on display at the show total AED 102m and have a total overall combined length of 156 m.